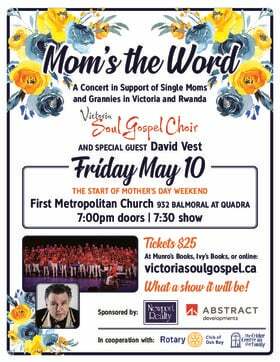 The Victoria Philharmonic Choir, conducted by Peter Butterfield, opens its season with a concert featuring two contemporary composers exploring timeless themes of darkness and light. 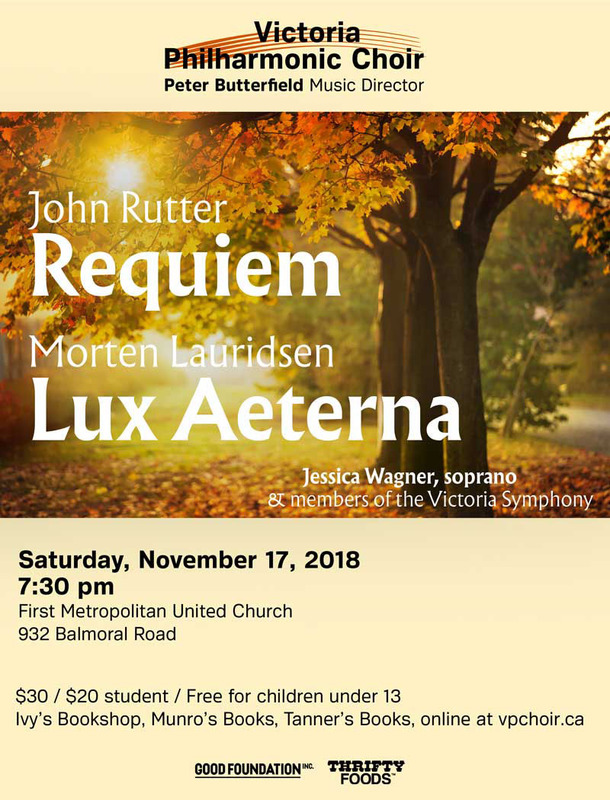 English composer John Rutter is known for his beautiful melodies, and his Requiem is hailed for the purity and sensitivity of its vocal lines, especially in the Pie Jesu movement, which in the VPC’s performance features soprano soloist Jessica Wagner. The work, which combines movements of the Latin Requiem Mass with English psalms, was completed in 1985 and has become a favourite of choirs and audiences around the world. American composer Morten Lauridsen describes his setting of sacred Latin texts in Lux Aeterna as a meditation on Light, “a universal symbol of illumination at all levels – spiritual, artistic and intellectual.” For musical inspiration, he draws on the harmonies and counterpoint of sacred music of the late Renaissance, especially that of Josquin des Pres. Lauridsen wrote Lux Aeterna in 1997 during his mother’s final illness, and Rutter’s Requiem is dedicated to the memory of his father, adding to the emotional depth of these works. Twenty-one orchestra players, mainly members of the Victoria Symphony, join the choir onstage for this performance.